Those who follow me on Instagram or Snapchat (both @pastellics) might have noticed already that I'm back in Paris after my London adventure and Belgian summer straight after. I had the loveliest time abroad and back home with my family, but it also feels amazingly good to be back here in Paris - it's like coming home to be here again. I'm currently in my second week of Uni, where I started an MBA in Digital Marketing & Business. So far it's all so incredibly interesting, as this focus on the digital aspect is really what I needed - I'm learning a lot, and it's intense, but so happy I made this choice. 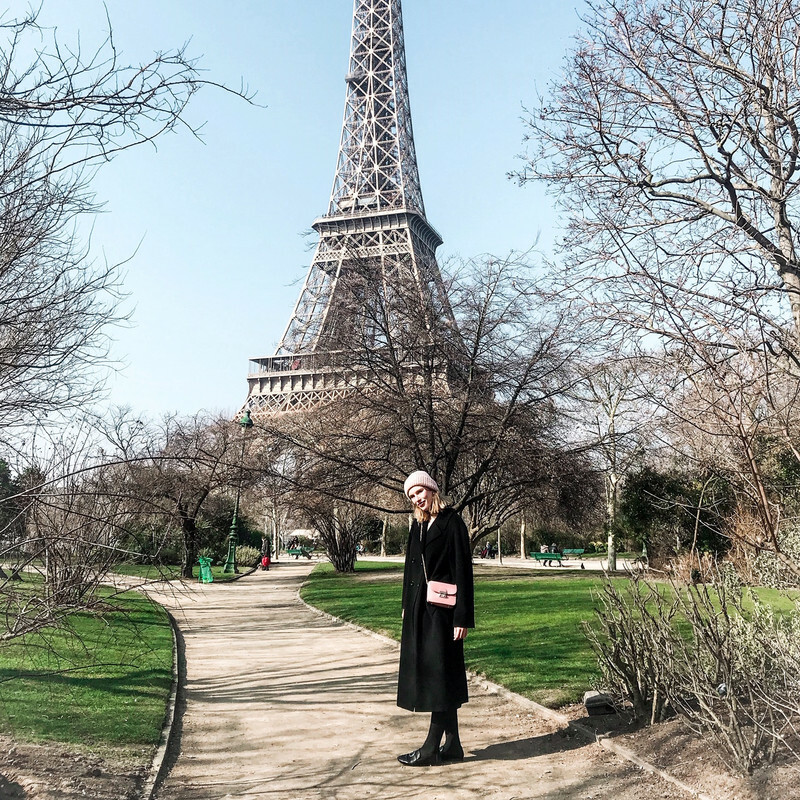 The Parisian life is back on track, so prepare yourselves for many posts featuring the Eiffel Tower, heh. The week before classes started, I already moved here to find a place (quite crucial), together with my boyfriend. We stayed in a very nice flat just off Canal Saint Martin, one of my favourite places in France's capital! And lucky as we are, we got to celebrate our 5 year anniversary in the ultimate city of love. We had the loveliest time, and I feel so blessed I got to spend this special day with my love right next to me, great food, good conversations and a bottle of wine to share. I assure you, there's no better way to spend the day. Of course Paris is not only known for being oh so romantic, but also for the ultimate shopping experience. My boyfriend got really cray cray and bought a suit & the Kenzo tiger jumper he's been dreaming of ever since it was released. I went for a classic, and may I say, the most perfect camel coat, which I'm so incredibly happy with. It goes with literally anything, is so comfortable, and nice and warm. Autumn, I'm totally ready for you! Waaa ik ben echt jaloers, ik ben nog nooit in Parijs geweest :( Geniet van je tijd daar en supermooie jas! Way too gorgeous!!! Love your coat girl!!! Happy weekend! Such a great look, love your coat! Look maravilhoso amei as imagens, tenha uma semana abençoada. awesome shots, I love paris! Stunning location. I enjoyed this post a lot. Great job! Such lovely photos and great winter coat. Prachtige foto's! Ik vind je jas trouwens prachtig, en je sjaal ook! Oh wauw! Als ik jou was, zou ik die jas ook nooit meer uitdoen! Wat een prachtexemplaar. En wonen in Parijs moet zalig zijn, al die prachtige plekken! Geniet er van! Gorgeous, love this outfit - it's beautiful!